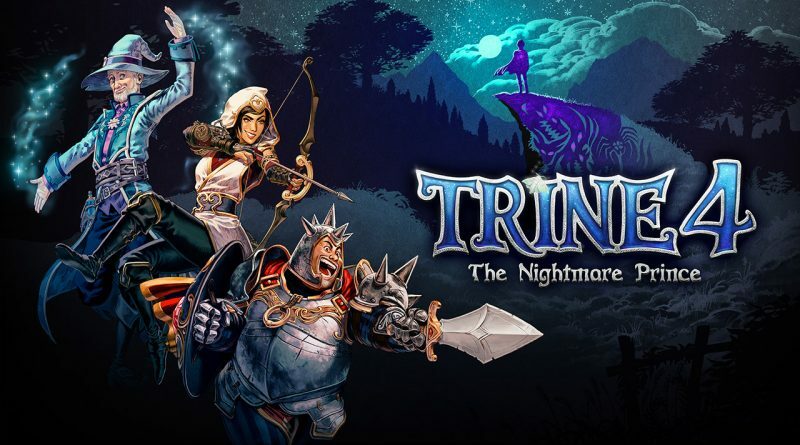 Developer Frozenbyte and indie video game publisher Modus Games today announced that Trine 4: The Nightmare Prince will launch on Nintendo Switch in Fall 2019. Pre-orders at select retailers will get a Trine 4 Cloth Poster and bonus in-game content. Additionally, Modus Games has revealed the first gameplay details and an official announcement trailer. Featuring an all-new story that reunites Amadeus, Pontius, and Zoya, Trine 4: The Nightmare Prince returns to the magic of 2.5D with the puzzle-platforming gameplay that defined a genre in Trine 1 and 2. Play as the three iconic heroes in the most extensive Trine adventure yet, complete with stunning new environments and dynamic, physics-based puzzles that fans have grown to know and love. Completely revamped combat system. Experience the heroes’ own bloodcurdling nightmares in boss fights featuring an enriched combat system with fresh challenges and thrilling action!